“Where are they? How are they? And what tending was done? Or was it just words to hear? In their times of need and fear? Given praise, by you, enough? And other such dumb stuff? Did you show them you care? No time with you to share? Of the children you raised? Their pain and hurt, ignored? For warm Spring’s morning dew. 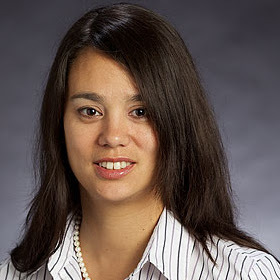 Cindy Smith was born in southern NY State and raised in a small town in Upstate NY. Cindy has lived in many different states from Maine to Florida, in this wonderful country. She now resides in Indiana, with her husband. 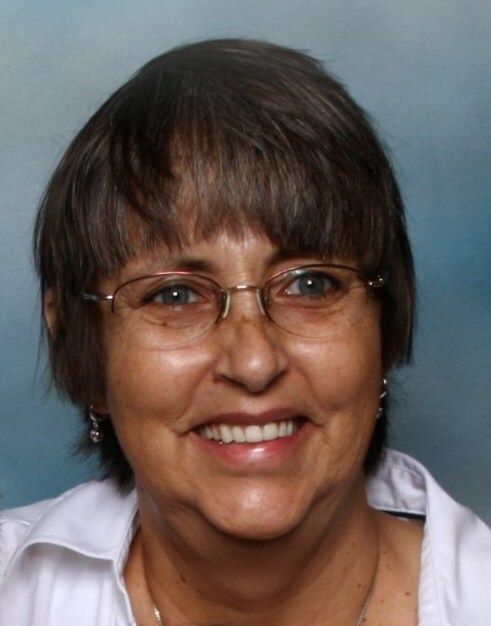 She has worked a variety of jobs during her life- waitress, department store associate, certified electronic technician. She is currently employed as an over the road trucker. 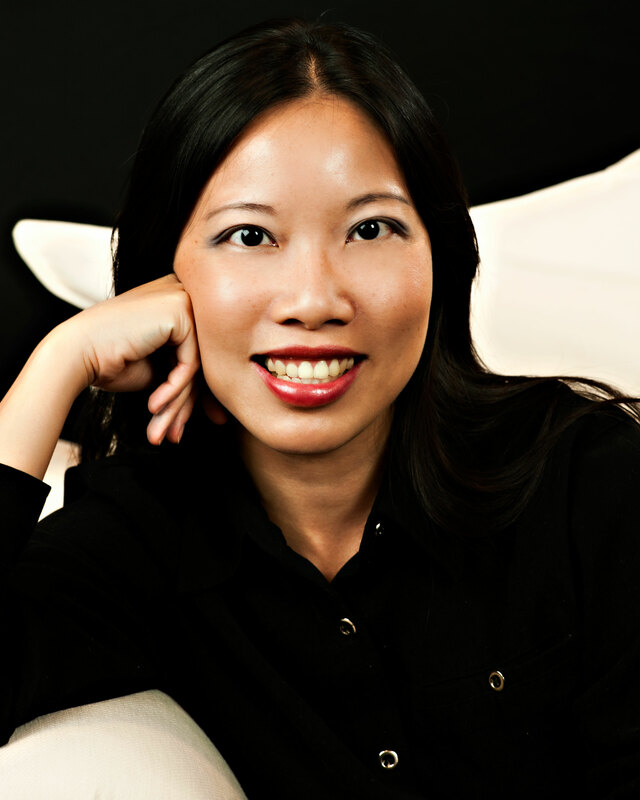 When she is not working or composing poems, Cindy likes to read, listen to music and do arts and crafts. 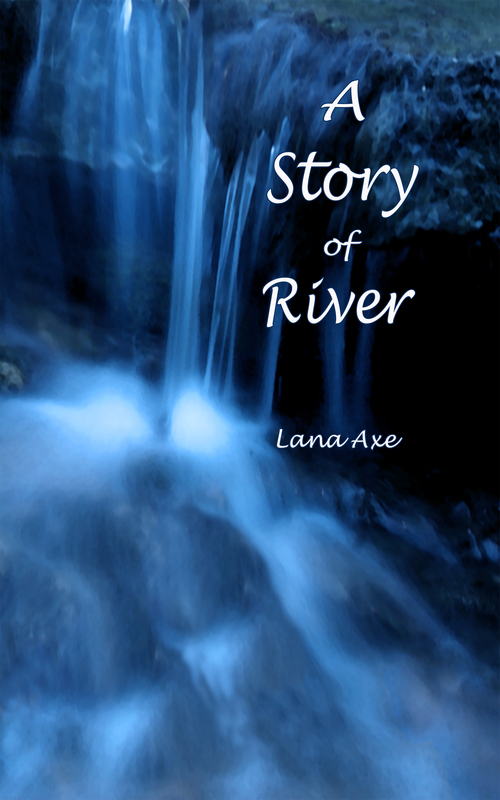 Through all her experiences, she had voices in her head dictating poems. The voices would not relent until Cindy wrote the poems down. She invites you to eavesdrop. 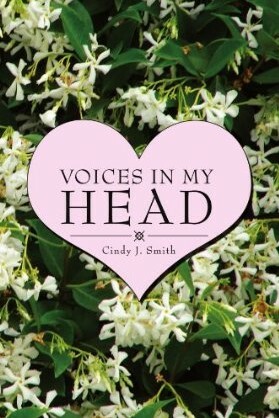 Cindy self-published her first book of poetry, Voices in my Head in November 2011. 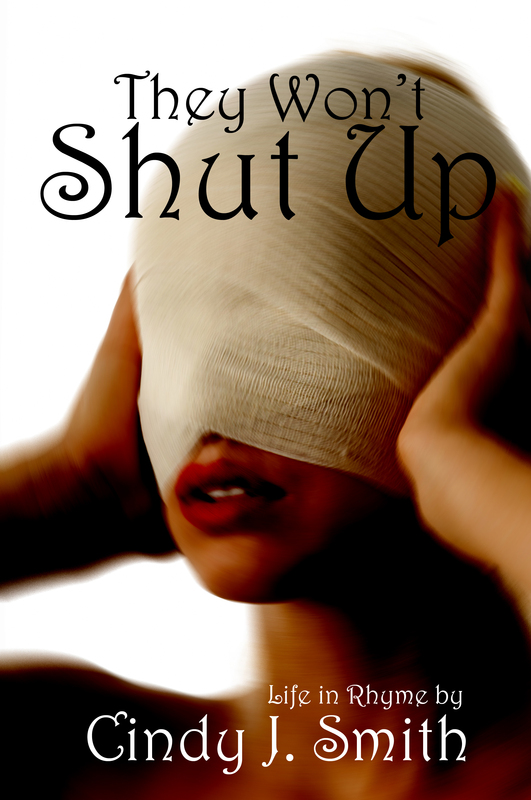 Her second, They Won’t Shut Up was released by CH&BB Publishing July 13. 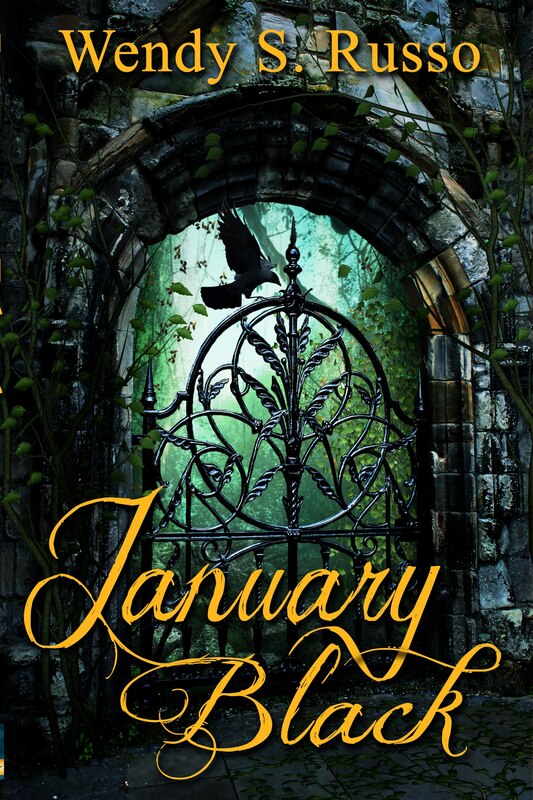 After eight years of jotting notes and building a fantasy world, she has finally begun releasing novels in her Tales from Nōl’Deron series. They will feature many of the same characters, but each novel will stand alone. 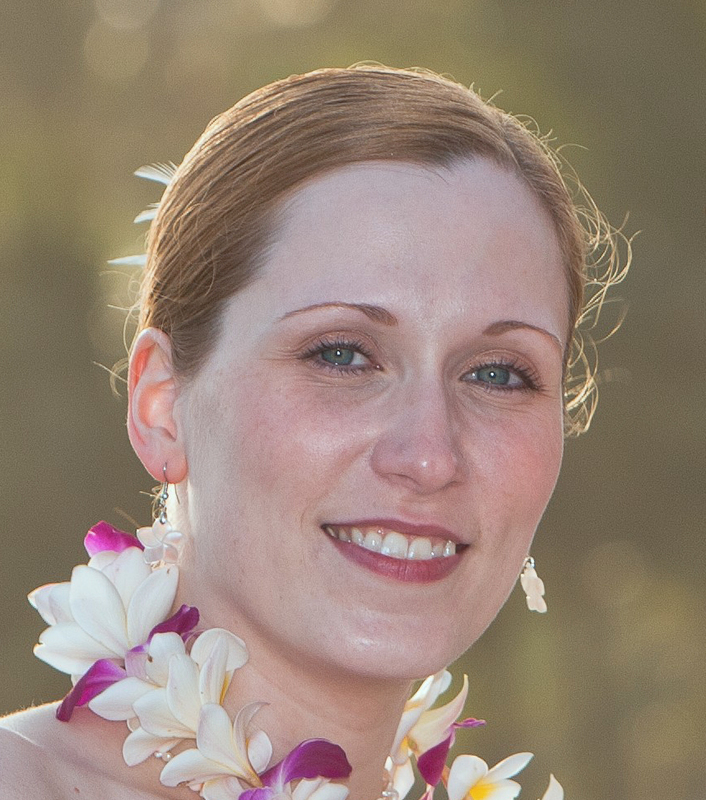 She hopes to have her second novel completed in Fall 2013. America, nevertheless, is ripe for transformation. Exhausted by decades of belligerence between humans and their genetic derivatives—the clones, in vitros, and mutants—society is on the verge of falling apart or growing up. 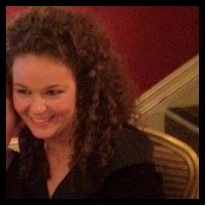 Dee, with her sassy attitude and smart mouth, is the unwitting pebble that starts the avalanche of change. In her quest to help her brother become normal, Dee will finally learn what it means to be extraordinary. 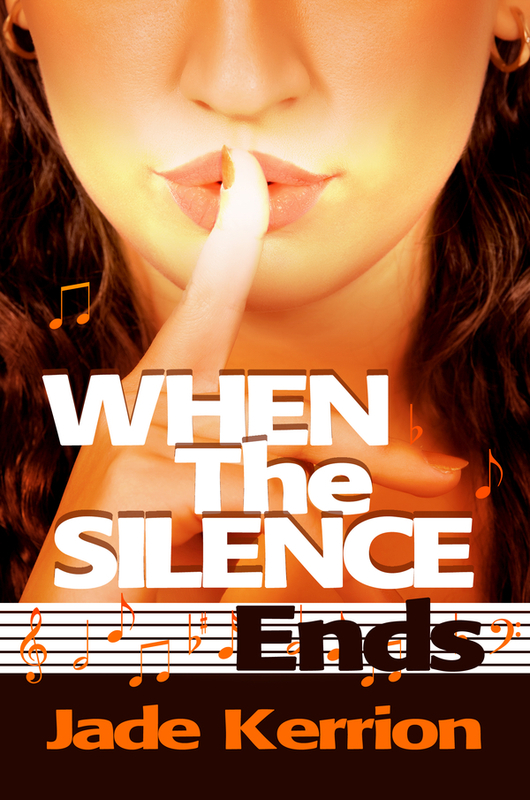 When the Silence Ends is the Young Adult spinoff in the award-winning Double Helix series and can be read as a standalone novel. On the one hand, When the Silence Ends is the story of an ordinary girl, Dee, facing ordinary challenges. She holds down two jobs to pay the rent, makes sure her twin brother gets to his speech therapy class, and wonders how to pay for college. Dee, however, is an ordinary girl in a world transformed by the Genetic Revolution—a world that is struggling to deal with the social and political repercussions of human derivatives: the clones, in vitros, and mutants. What chance does “ordinary” have in a world of “extraordinary” people? Silence is a key theme in the novel. Dum, Dee’s twin brother, has not spoken ever since a shattering event destroyed their family when they were five. The novel is the story of Dum’s journey out of silence. A secondary theme is that of secrets. Danyael Sabre, the alpha empath who trains Dum, has secrets of his own, and as the story unfolds, the silence around an eighteen-year old secret comes to an end. Young Adult novels abound with extraordinary protagonists. I’m sure that in your travels through books, you’ve met the child of destiny who’s fated to end a war and unite two worlds. You’ve probably also met the quiet kid who doesn’t quite fit in, who discovers his amazing super powers and uses them to save the world. Of course, there’s the protagonist who stumbles upon a mysterious world that coexists alongside her reality, populated by sparkly vampires and handsome werewolves. I’ve found two major themes running through most YA novels: the first, as I noted above, the extraordinary teenage protagonist, and second, the adults are frequently the enemy, ranging from indifferent parents to murderous despots. Neither of those observations particularly aligns with my observations of life. I’d like my readers to realize that “extraordinary” is within all our grasps, and it has nothing to do with destiny, superpowers, or being loved by a vampire. Dee is the embodiment of ordinary, but she still manages to change her world for the better. If she can do it, there’s no reason at all the rest of us can’t. 5. Do you have a favorite line or scene from your latest release? It’s hard to choose just one scene. I enjoy many of the scenes involving Jessica—the fifteen-year old alpha mutant, who, unlike Dee, isn’t ordinary, but is striving to find her own brand of normality, nonetheless. My favorite scene, however, is the very last scene at the concert when the silence ends. Several readers have reported tearing up at that scene. 6. Do you recall how your interest in writing originated? 7. Who is your favorite author and what is it that really strikes you about their work? 8. Have you published anything else? My award-winning Double Helix series includes three books, Perfection Unleashed, Perfect Betrayal, and Perfect Weapon. 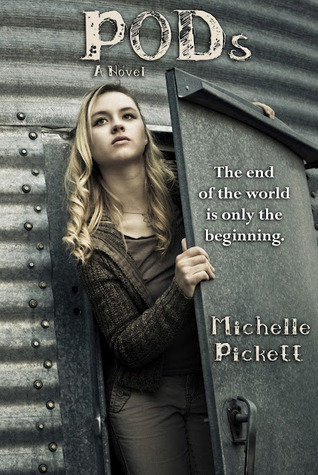 When the Silence Ends is set in the world of the Double Helix, and readers will find that many of their favorite characters play much larger roles in the main series. My YA science fiction novel, Earth Sim, is a standalone novel, a compelling and whimsical view of Earth’s history through the eyes of the two students assigned to manage our planet. 9. What’s next for you? / What is your next project? Perfection Challenged, the fourth novel in the Double Helix series, will be released in September 2013. I’m currently working on a paranormal romance called City of Eternal Night, with a planned release of December 2013. I just want to say thank you. Thank you for your support, your enthusiastic reviews, and your outraged e-mails over what I did to some of my characters. Thank you for loving them. Thank you for rereading my novels. Thank you for trusting me with your time. I do promise to honor that trust and keep delivering fantastic novels that keep you reading past your bedtime. What if all you had to do to make your dreams come true was violate the laws of the universe? That’s not just a philosophical question Eddie Royce has to answer. It’s a choice he has to make when the most famous science fiction writer of the 1930s goes missing and his unscrupulous publisher becomes convinced that Eddie knows all of the older writer’s secrets—not just the secret of where he’s gone, but the secret of how he’s traveled in time. Until now, Eddie’s fooled himself into thinking he’s got the system figured out, “borrowing” plots from Shakespeare and rewriting them as space operas to make a name for himself in the pulps. But when he finds out that Chester Blackwood—his idol and inspiration—has been cheating the system in ways Eddie could never have dreamed of, the hack science fiction writer finds himself in the middle of a plot that his pulp readers would never have imagined. Now he has to do all he can to save himself—and Blackwood’s beautiful daughter—from the powerful figures who all want Blackwood’s secret. And violating the laws of the universe might just be the least of Eddie’s problems. 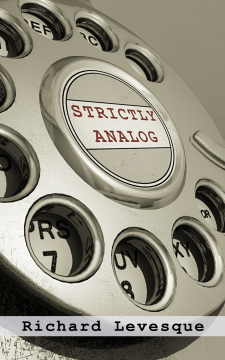 What’s a private detective to do in a future where nothing is private? That’s Ted Lomax’s problem. In the new California, a corporation runs the government, electric cars have drive tones, and a new technology keeps everyone constantly connected to the Internet. Almost everyone. Disabled in California’s war for independence, Ted is locked out of the new tech. Living on the fringes of society for years, he’s found a way to turn his disability into cash: finding clients who need their info kept off the grid. It soon becomes clear it’s about more than one dead agent. Solving the case might save his daughter. And it might get him killed. And it just might open the door to secrets surrounding the attack that almost killed him eighteen years before.One thing’s certain, though. Ted Lomax will never be the same. 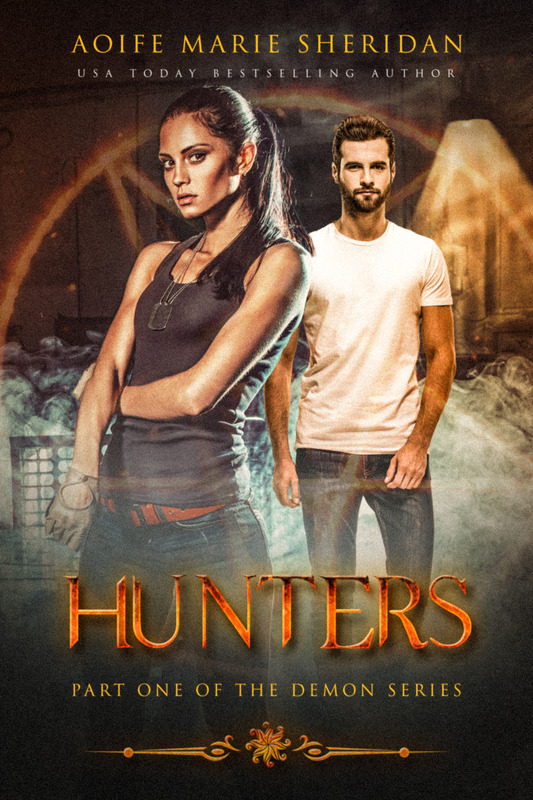 Zombies, werewolves, vampires, rival Bowie tribute bands, and conjoined twin mobsters…it’s all in a day’s work for Ace Stubble, a gritty lawyer whose clients are the undead and paranormal. Ace should have learned a long time ago that “easy” jobs are never that easy, but how could this one go wrong? All he needs to do is find the right re-animator to put some life back into the dead man’s hand that his friend Pixel Patterson has acquired. There could be a good deal of money in it–and it doesn’t hurt that Pixel is easy on the eyes. Unfortunately, re-animators aren’t all that cooperative in this city, and before long Ace is calling in favors that lead to other favors. When a van-load of zombies goes missing, Ace realizes there’s more to the dead man’s hand than he’d thought, and there are people far more dangerous than Pixel Patterson trying to unlock the hand’s secrets. But now it’s too late for Ace to back out of the deal, and he has to rely on more than favors if he’s going to come out of this one still in one piece. 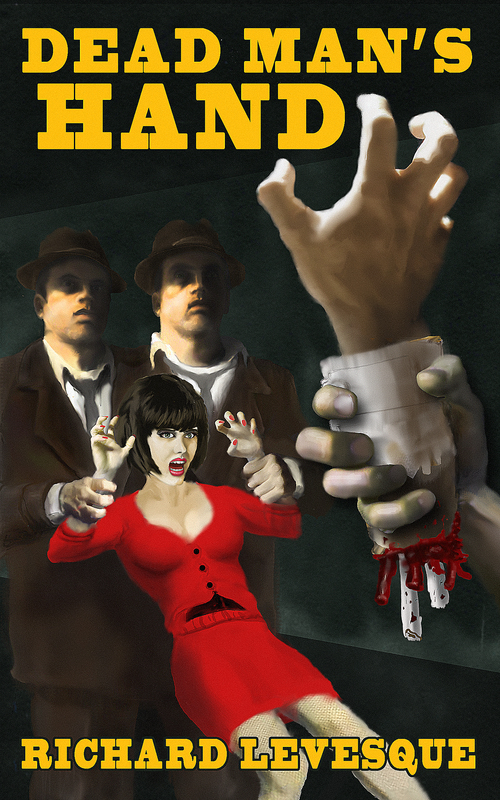 It’s another open and shut case for Ace Stubble, lawyer for the undead and disembodied. At least that’s what he thinks. 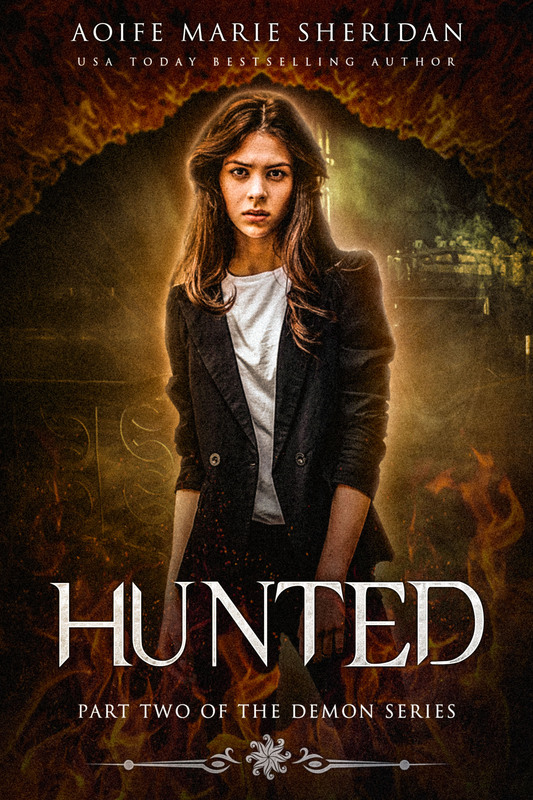 When Cordelia Dearborn—a ghost with a shady past—hires Ace to rid her home of pesky, freeloading descendants, Ace figures he’ll have no problem collecting his fee. But there’s more to this case than a cranky old ghost and a houseful of unwanted people. Everyone in the Dearborn family—the living, the dead, and the mentally ill—has a secret or two, and Ace can’t avoid getting caught up in all of them. It doesn’t help that Cordelia’s beautiful granddaughter seems willing to do anything to keep from being evicted. It’s all such a mess that no one—neither the living nor the dead—seems aware that there’s bigger trouble brewing in the house. Ace Stubble has faced danger before, but is he ready for what’s living in the basement of the Dearborn estate? Richard Levesque has spent most of his life in Southern California and has been a professor in Fullerton College’s English Department since 1999. He has been writing for as long as he can remember, blending his interest in science fiction with his love for 1930s and 40s Los Angeles and Hollywood culture. He joined the ranks of indie authors in 2012 with his first novel, Take Back Tomorrow, and followed it with Strictly Analog and his Ace Stubble series about a lawyer who specializes in helping the undead and paranormal. He is currently at work on a YA post-apocalyptic novel. When not writing or grading papers, he spends time with his wife and daughter and works at being better than a mediocre guitar player. My most recent publication was Unfinished Business, the second novella in my Ace Stubble series about a lawyer who specializes in helping the undead and paranormal with their legal problems. I think I’ve known I was going to be a writer since I was about 13 when I spent a summer devouring Edgar Rice Burroughs novels and decided that writing books would be a pretty good way to live. I worked at building up my writing muscles for quite a while after that with a lot of false starts and novels that never really got past the first draft phase. I got more serious about writing in 2005 when I started working on Take Back Tomorrow and then made the leap into self-publishing in 2012 after a couple of years working of working with an agent to try and go the traditional route. My novels are all available on Amazon. They are Take Back Tomorrow, Strictly Analog, Dead Man’s Hand, and Unfinished Business. 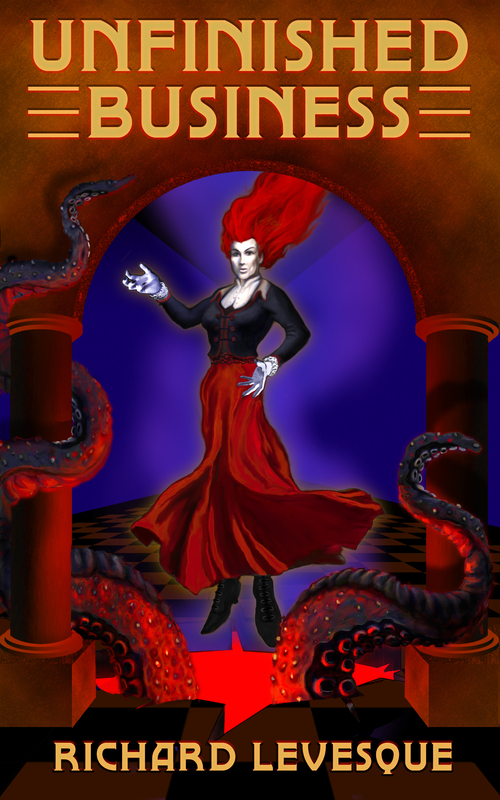 I have also published short stories in The Colored Lens (online SF magazine at thecoloredlens.com) and Lissette’s Tales of the Imagination (print magazine). These days, I get up at about 5:30 in the morning and write before anyone else in the house is up–just me and the dog. I write for an hour, getting in around 1000 words. Then I get on with other things. Some days I can sneak back and write a little more, taking the laptop when I’m going to be in waiting rooms or other places where I’d otherwise be idle. I also try to budget time throughout the day to work on marketing in various ways. I really like Andy, the girl in Unfinished Business. She’s a tough kid, not afraid to deal with grown-ups, ghosts and monsters. I imagine my daughter growing into a kid like her–without the monsters and ghosts, of course. I also really like Roxanne Blackwood from Take Back Tomorrow. She, too, is tough–a woman who knows what she wants but who has become stuck in a situation of her own making after some youthful indiscretions come back to haunt her. She’s smart, beautiful, resourceful, and she never gives up. 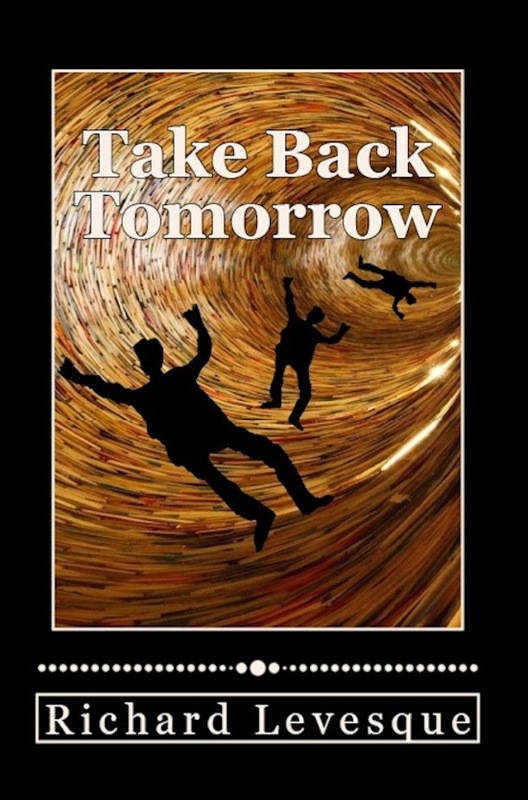 A lot of readers think she’s the real hero of Take Back Tomorrow even though Eddie Royce seems to be the main character. I think they may be right. Not really. I’m a college English professor by day, so I spend a LOT of time editing and correcting other people’s writing. When I read for enjoyment, I turn that part off–unless the errors are glaring, at which point I’m no longer enjoying what I read. I don’t seek out music when I write, but I have no problem writing when other things are going on–music, TV, etc. I’m pretty good at tuning it out. I don’t think anyone has ever asked me that question. I tend not to eat when I write. I’d probably have to go with Bugs Bunny. More recent ones are awfully good, but Bugs has been with me for an awfully long time. I play guitar (not very well) and spend time with my family. I also collect books but have to reign myself in so I don’t break the bank. The thing about this book that made it different from every other Zombie book was that it didn’t just show the aftermath of the “Zombie Virus” we got to see the before which was very interesting and well written. I finished PODs in one sitting it just kept me turning pages. The actual Pod system was well thought out and even though it was a bit like big brother – watching a group of people do day to day stuff it still kept me interested. I must admit I cried when Eva was being separated from her parents I could feel her panic and then numbness, it was so so sad, and her fear was tangible when she reached the decontaminating camp. I mean to be selected as a person who would be saved from the virus and then treated the way they were in my opinion they were treated like criminals in a sense, locked up in glass boxes, it just sounded horrible and It didn’t stop there, there seemed to be no human compassion when the world was at its end yet not one ounce of kindness or reassurance was given from the adults over the pod system, it showed great character in Eva at how strong she was throughout the whole ordeal. On leaving the pod system I was excited to see where everyone would go, and wasn’t shocked when camps were set up, but once again it displayed the adult’s as cold and callous. Spoiler: Especially when David wasn’t placed in the same camp as her and once her found her he wasn’t allowed in I felt like screaming. The love between the two of them was amazing, and the meetings at the fence got sadder and sadder the longer they went on. Don’t want to say anymore or I will spoil it too much. Eva – her best quality was how stubborn she was, I just loved it about her and her sense of humour only heightened when she was angry, she had me smiling so much with her angry/smart comments. Eva’s shyness was lovely to see too, even though by her description you could tell she was beautiful, yet a compliment from David turned her bright red. The love story was well paced intense, open and gentle. There was no push and shove, they loved each other and were never afraid to show it. The Zombies – I didn’t get to feel afraid while reading this book until the very end, but there is a book two which I can assume will be filled with action as much as I loved this book the lack of action was a bit disappointing but in saying that I can’t wait for book two.